SCB Legal is a 100% wholly owned Aboriginal Australian law firm that provides expert Aboriginal legal services. The founder of the company, Sionea Breust has dedicated many years, helping the Aboriginal community in Australia. She is extremely proud of her heritage, which is why the SCB Legal logo was designed and inspired by the Aboriginal flag. 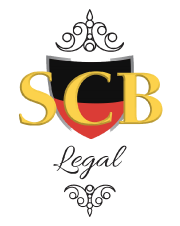 SCB Legal’s logo is based on the Aboriginal flag. It’s no surprise unfortunately that many hardships face Aboriginal Australians. The inequity that confronts native Australians, is something Ms. Breust has dedicated her life to exposing. Her work at Legal aid and other Aboriginal services organisations is nothing short of inspiring. Over the past few years a number of vital government initiatives like legal aid in Mt Druitt have closed. This has left a terrible gap in the market, meaning that fewer people can access the legal resources they so desperately need. SCB Legal has sought to correct a wrong by partnering with organisations and maintaining relationships with individuals who counted on these philanthropic ideals. Do You Want An Advocate Who Fights For Your Legal Rights? SCB Legal can assist you! 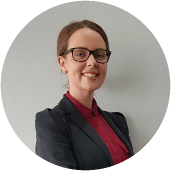 It is our mission to demystify the law for the average person, ensuring that complex legal jargon is replaced with an approachable solution that is it easily understood. We maintain that each person deserves the best legal representation, irrespective of their financial standing. It is for this reason that we assist all clients, including those who cannot afford traditional legal fees. It is part of SCB Legal’s mission statement and corporate values to provide legal assistance for ALL people, irrespective of their financial background. Our wholly owned Aboriginal legal firm is committed to fighting for the rights of Aboriginal Australians. We are dedicated to inspiring young minds and empowering them, leading by example. While philanthropic initiatives are paramount, SCB Legal is also committed to inspiring the Aboriginal community. There exists a balance between shedding light on the problems facing Aboriginal people, such as demanding better education in all facets of the term, as well as combining this with a message of hope. The resounding message is that irrespective of many people’s current circumstances, every person has the right and will to succeed. 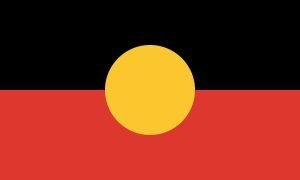 Thankfully in 2017, there are many wonderful examples of notable Aboriginal Australians, who are seeking to redefine the way in which today’s youth think about Aboriginal people. It is for this reason that apart from addressing serious legal matters that may be affecting your family, children and loved ones, our objective is to help you succeed. Our dedication to cultivating new businesses, is something on which we pride ourselves. Having an influential role model such as Ms Bruest is invaluable. If we consider the positive impact on a young girl, it’s easy to see that the great successes she has achieved are testimony to the fact that aspirations and dreams are actually possible. Ms Bruest’s commitment to Aboriginal children reflects SCB Legal’s company ethos. It highlights the way in which the company is passionately involved in the Aboriginal community.